If you decide to file your own copyright application, without professional assistance, you must understand & follow the codes & regulations that control the copyright application process. Basic Patents serves Lehigh Valley, PA and surrounding areas. 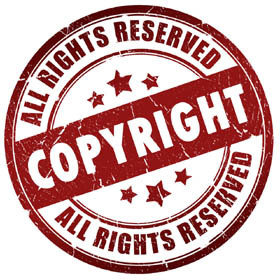 The codes & regulations, as well as, the various reference documents include: the Copyright Act (Title 17), and the Federal Regulations for Copyrights (Title 37C.F.R.,Chapter 2). Guides are provided by the Copyright Office, and links to these guides by subject matter are provided for your convenience. In short, everything you need to know to file a copyright application on your own has been provided access to the necessary copyright application forms, schedule of fees charged by the Copyright Office, & frequently ask questions about the copyright application process in the links that follow. If you are interested in engaging our services to assist you with your copyright trademark needs, please contact us by e-mail, we will be happy to respond to your inquiry in a prompt and friendly manner. Please remember however, that we do not, provide legal services nor render legal opinions unless we have been engaged to provide such services. A link to the COPYRIGHT FEE SCHEDULE is provided below for your convenience. If you are not prepared to engage our services, you may require a legal opinion or task related specific information. We recommend that you contact your local county bar association. You can obtain a referral to an intellectual property attorney in your local community. Such referrals are typically provided without charge. Consultations of up to a one half hour are also generally provided without charge. This is a good way to get started and we recommend that you find the right firm for your specific intellectual property needs. 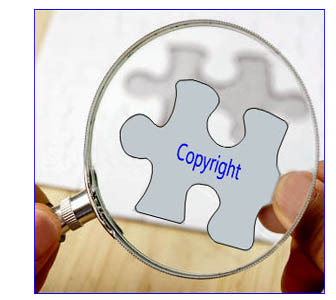 We would suggest you consult with at least three copyright attorneys to determine which one best meets your needs. We would of course like you to consider our firm during your selection process, in light of the information that we have provided on this website. Our proven success record in assisting our clients in achieving their intellectual property needs, speaks for itself. Everything you wanted to know about copyrights is only a click away. You will be able to locate copyright forms, receive instructions on how to file a copyright application, and even enjoy a primer on copyright law. Unlike patents and trademarks, the Copyright Office does not perform a search to determine whether a work is registerable. In this regard, searches are not necessary under the copyright code. In fact, such searches are not possible since the Copyright Office does not index by subject matter. Searching of the Copyright Office records however, is available to the public to determine for example the status of a work or to determine ownership of a work. In this regard, the Copyright Office has set up several databases: COHM which is a database of works registered since 1978; COHD, which is a database relating to copyright ownership matters, and COHS, a database of serials, such as periodicals, magazines, journals, newspapers, etc. If you would like to engage our services to help you with searching the records of the United States Copyright Office, send us a brief description of the information you require and we will promptly reply by providing you with a fixed price quote for conducting the search. Similarly, if you would like to engage our firm for preparing and filing a copyright registration on your behalf, we will provide you with a fixed price quote. All communications with our office are held in the strictest confidence. A schedule of our fees relating to copyright matters, including a sample engagement letter is available for your review. Bookmark this link Copyright Basics for your future reference.